Borders of spreadwing eagles and historic monuments frame an interior with symmetrical motifs of four stylized hearts. A beautiful example from this sought-after New York State weaver, with an interesting element: Dated 1842, yet signed in the corner blocks indecipherably because of a skip or misloading of the loom. 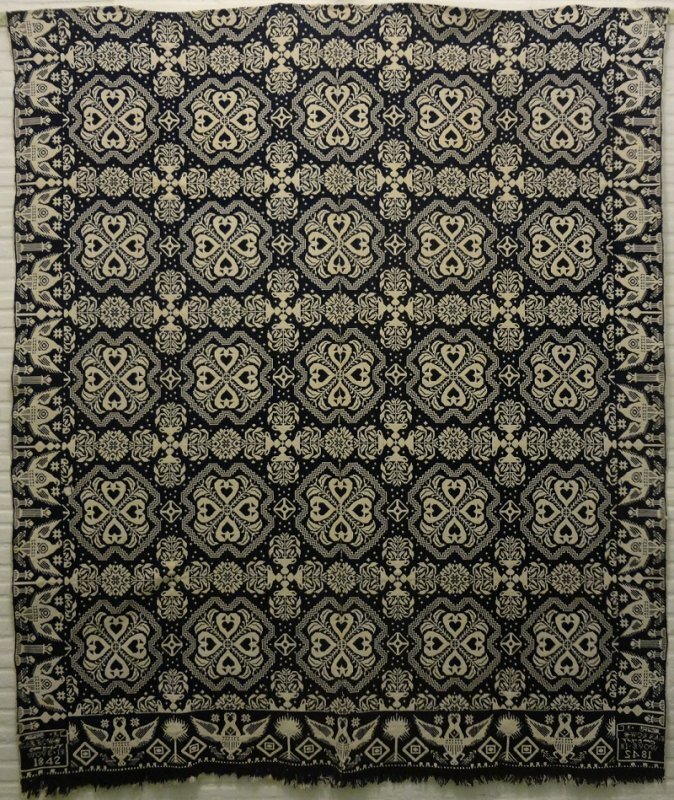 Perhaps the weaver's sample coverlet, or a manufacturers 'second' because of the corner block error. This human touch in a partially mechanized woven historic textile connects us to him over the centuries! Luxurious,weighty, finely woven, exemplary still.